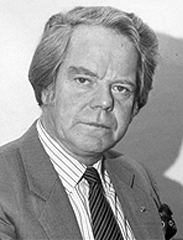 Prochem was founded in 1974 by Ron Tilley. Ron started as a carpet cleaner, working for a carpet cleaning franchise in the early 1960’s. He quickly rose through the ranks to become Director of Training, teaching the skills he had learnt during his cleaning career. He then spent many years travelling to the USA and other countries to research the latest advances in chemicals and equipment development. Up until this time very little training in carpet and upholstery cleaning was available in the UK and because of this he decided to start Prochem in 1974 to provide training, cleaning equipment and chemicals to this specialised sector of the cleaning industry. 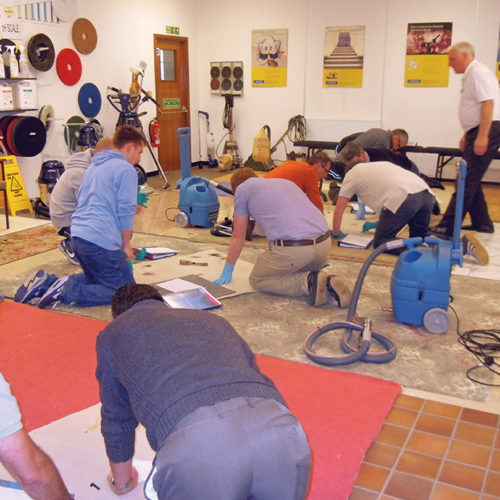 Training carpet and upholstery cleaners on the use of the latest products and equipment, and demonstrating the various cleaning methods, was the key to the successful development of Prochem. Now, when you come to Prochem you will be trained by a founding company in the UK carpet and fabric cleaning products industry. Prochem has been supplying the professional cleaning industry with training, cleaning solutions and machinery for over 40 years . Our purpose built Training Academy, with lecture room and demonstration areas, is situated on the same site as our 50,000 sq.ft facility manufacturing chemical products to the latest ISO9001 quality and ISO 14001 environmental standards. 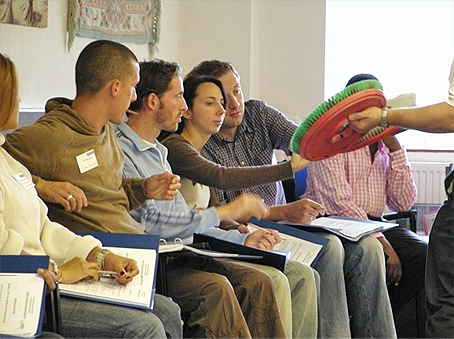 The industry recognised training courses are designed both for the newcomer to the carpet cleaning industry, who is usually setting up his own business, as well as the seasoned professional who would like a refresher course or to find out what’s new in cleaning. 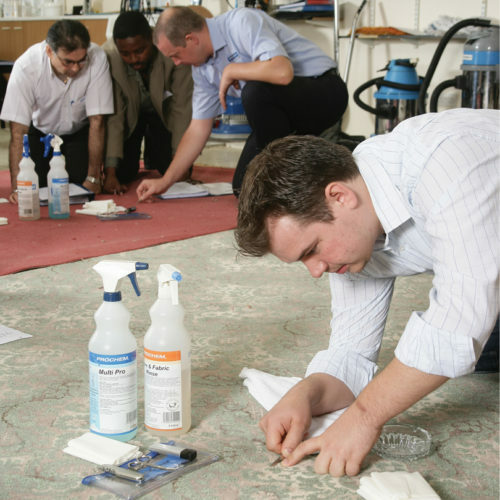 If you are already a carpet cleaner, a contract cleaner or public sector operative, if you want to improve your skills and learn more about products and methods, the 1 Day Carpet Cleaning Course is for you. The 1 Day Upholstery Course and the 1 Day Hard Floor Maintenance Course are for cleaners who wish to add these two services to their existing carpet cleaning service. If, however, you are new to carpet cleaning, we recommend that you come on a 2 Day Carpet Cleaning Course where you will get all the advice you need for starting up your cleaning business, as well as hands-on practice in identifying fibres and carrying out a professional survey. At all of our courses you will be able to try out machines and ask the trainers for personalised advice. Training courses are also backed up by a technical help-line or, if you prefer, advice via email. All contact numbers and links can be found on this web site. As a prospective carpet cleaner you are probably asking yourself the question: “Do I really need to do training? Surely cleaning a carpet can’t be that complicated” There are hundreds of carpet cleaners around the country who think exactly the same thing. But the plain truth is that trained cleaners get THE BEST CLEANING RESULTS, which enables them to get the best price for their work and to thrive on their reputation through recommendation from their satisfied customers and repeat business. If you have not yet acquired the technical knowledge of cleaning, and you intend to build a business in cleaning, take industry advice and get yourself trained. TECHNICAL TRAINING COURSES ARE ONE OF THE BEST INVESTMENTS YOU CAN MAKE IN YOUR BUSINESS. Without a complete understanding of the chemistry of cleaning and how fibres react to water and cleaning solutions – and in particular when to say “no” to a potentially dangerous cleaning job – your business will be continually exposed to the possibility of poor cleaning results or even costly disasters. Being professionally trained will help you to sell your cleaning service, as you will have greater confidence and the ability to explain to your customer exactly what kind of results they can expect in any given situation. 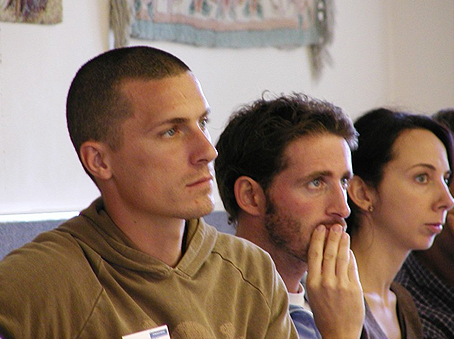 WHAT WILL YOU LEARN ON A TRAINING COURSE? SHRINKAGE – both on carpets and upholstery fabrics. Yes, even some types of recently manufactured carpets and modern fabrics may shrink and the only solution to this problem may be replacement. 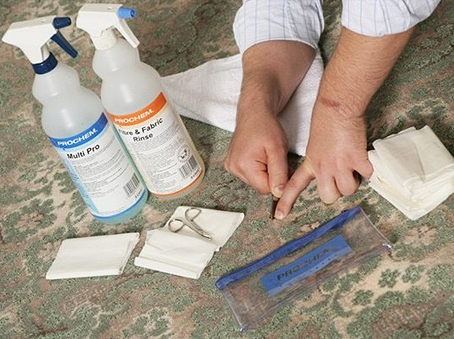 But on Prochem cleaning courses you will learn how to identify the carpets or fabric where shrinkage is a possibility and how to choose a cleaning method which will avoid shrinkage. DYE MIGRATION or dye bleed. 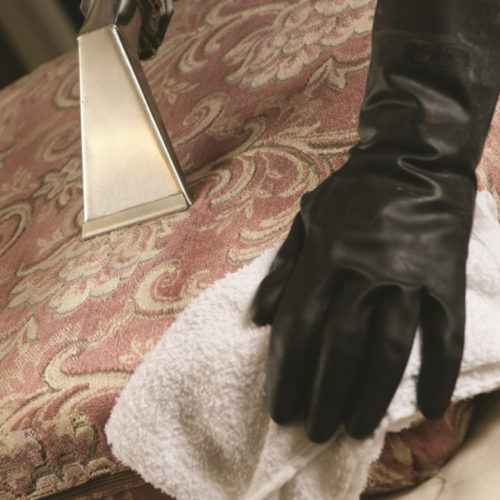 You will learn how to carry out the necessary tests to see whether this is a potential problem on the floor covering or upholstery that you about to clean. According to the results you will then be in a position to choose the correct cleaning solution and method to avoid dye bleed. BROWNING – This is a phenomenon can vary in intensity, but the effects of browning have led to the closure of many carpet cleaning businesses because the damage has been irreversible. Once again, correct identification of the carpet fibre and the carpet construction is essential to avoid this type of problem. STRETCHING – You will learn which types of carpet are likely to stretch and which techniques to use to avoid this. A carpet which has stretched can usually be re-fitted by a professional carpet layer, but the cost of this will be for the cleaner to bear and in all likelihood the customer will be unwilling to pay for the cleaning or give the cleaner any further work. On a Prochem professional training course we will teach you how to inspect, test and take avoiding action for all of the problems described above, as well as to PREDICT the expected level of cleaning result – a bonus to both you and your customer. A Prochem carpet cleaning course will demonstrate to you the recommended cleaning methods, which have been designed to cope with the varying conditions of soiling, staining and other associated problems. On a 2 day Carpet Cleaning Course you will also be shown how to carry out a survey and give the basic sales presentation to “close” a sale. This course is recommended for business start-ups. · and a phenomenon referred to as SWEALING or ring marking. You will see demonstrations of the various methods, which may be used to clean WET CLEANABLE as well as DRY CLEAN ONLY fabrics, together with cleaning machines and accessory items, which have been designed to achieve the best possible results. You will also learn how to time and price an upholstery job and where the potential markets are. 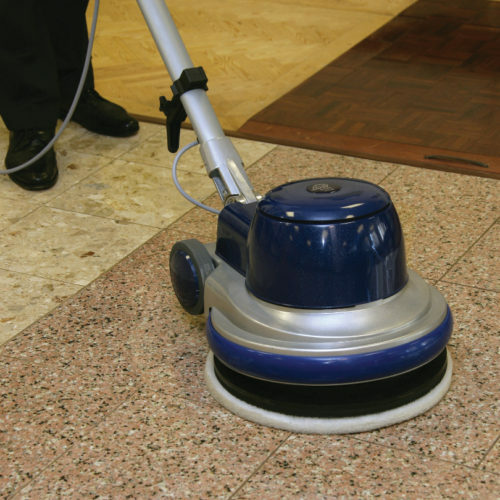 Our team of trainers is highly experienced in carpet, upholstery and hard floor cleaning. They may be running their own well-established cleaning company and come to Prochem on a consultancy basis, bringing their experience and up-to-date knowledge of the current markets, customer expectations and trends in pricing and frequency of interventions. 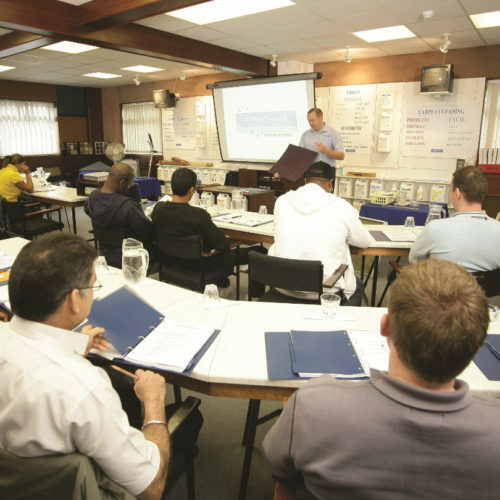 Other trainers work in close contact with the cleaning industry, answering technical questions on a daily basis, visiting cleaning sites where there are specific needs, liaising with manufacturers, dealing with cleaning problems that may arise and talking to people in the cleaning industry across the UK and overseas. During the breaks on a training day, the trainers will be more than happy to answer your questions and you will be welcome to call the technical support line or communicate with Prochem advisors by email should you require assistance related to your cleaning requirements in the future. There is a great deal of information on the Prochem web site including stain removal advice and the latest Safety Data Sheets and Product Specification Sheets, which also carry the label instructions. WHAT DO YOU GET ON A TRAINING COURSE? The most valuable thing we hope to give you on a Prochem Training Course is CONFIDENCE. The knowledge and know-how that you will acquire will hopefully give you the confidence to tackle any job and obtain the best possible results. It will enable you to speak with assurance and professionalism to your customers and convince them that the service you offer is far superior to that of your untrained competitors. 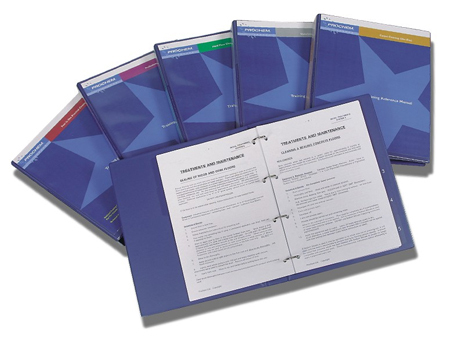 A TRAINING REFERENCE MANUAL: most cleaners who have come on Prochem Courses refer to their reference manual as their “bible”. There is a lot of information to take in on all of the courses, but the manuals will enable you to refer back to everything you were taught on the course. They are updated regularly, so will always contain all the latest methods and innovations in cleaning processes. Only delegates on Prochem training courses will be able to obtain a manual as it is not possible to purchase them without attending the course. A CERTIFICATE OF ATTENDANCE: although this is not a certificate of competence or proof of any qualification in your field of cleaning (you will not be asked to pass any tests on a Prochem Training Course), you should keep this certificate safely as insurers very often ask for certificates of attendance of training courses. If you subsequently seek employment with a large cleaning company they may also be pleased to see that you have undertaken training with Prochem. And finally it is a useful addition to your sales portfolio if you are an independent cleaner and would like to show your customer that you are trained to an industry level. Lunch and refreshments are provided on all Prochem training courses, with a vegetarian option available. We are sorry that we cannot cater for any other special dietary requirements. What should I wear? The courses are informal so you should wear comfortable clothing. Sensible footwear is important, as there are variations in flooring and flooring levels in the training areas. Delegates on a Two-Day Course will have the opportunity to actually get down on the floor to inspect carpets at close quarters but this is optional. You will also have a chance to try out machines if you would like to, but any ‘hands-on’ doesn’t actually involve getting hands dirty! How do I get there? When your course is confirmed you will receive instructions on how to find us. Coming by car is probably the best option as we are close to both the A3 and the M25 and there is free parking on site. However, the Prochem Training Academy is within reasonable walking distance from a mainline station (Chessington North). For those coming by plane the nearest airport is Gatwick, which is about 30 minutes away by car. What if I have to stay overnight? Hotels and guesthouses in the local area can be found on the internet.You will need to make arrangements for your own accommodation, and the cost of this is not included in the cost of the course. What time do I have to arrive for the course? Most courses start at 9.00am but we strongly advise you to aim to be here for 8.30am. Tea and coffee will be provided on arrival and then the course will start promptly at 9.00am with a mid-morning coffee break, a lunch break and tea break in the afternoon. We aim to finish the course by around 4.30pm. How do I book a course? You can book and pay direct on our website or call us on 020 8974 1515 and you can book and pay by card over the phone. You will then receive confirmation of your course and a schedule of timings. Please note that if you are using a voucher you will need to pay a £20 deposit which will be refunded to you on the day of the course. “This message is just to say a big thanks to the training team at Prochem. I attended one of your 2 day carpet cleaning courses a few months back knowing absolutely nothing about cleaning carpets, my trade is just to fit them, and I learned so much on your course the cleaning is now going hand in hand with the fitting doubling my work load, I am getting cleaning off the back of fitting and vice versa. This has been a great success attending your course and I have had a 100% conversion rate from on-site inspections to getting the job through the knowledge I was taught and my keenness to learn”. 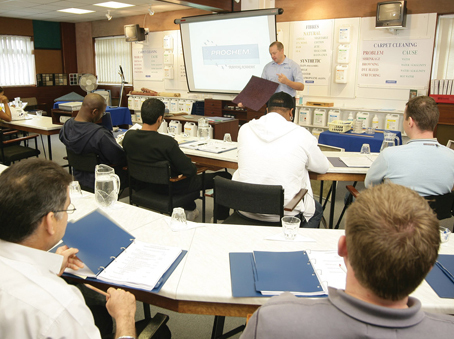 “I recently attended both the one day carpet course and the following days’ upholstery course and I would like to take this opportunity in thanking Prochem for your wonderful hospitality during those superb training courses. Conducted by true professionals, with time served experience in the industry, in an interesting and informative way. I would also like express my interest in attending both the hard floor course and the stain removal course, as early as possible”. “I recently attended the advanced stain removal at Prochem and found it a long day but it very soon, became highly beneficial and has indeed sharpened my focus into this part of my cleaning business. I now find that it gives me far more confidence to discuss with customers the options. In fact, the day after the course, I had call from a client that resulted in a professional and successful job when I might have opted against the task”. 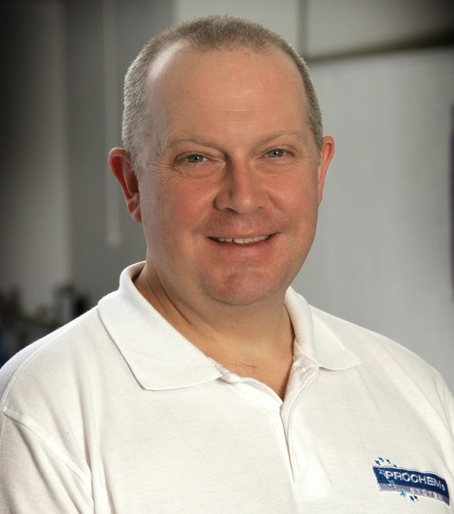 “It was my local distributor who advised me to come on a Prochem carpet cleaning course and I’m really glad I came. I feel so much more confident since doing that course. I always test fibres and dyes now and I feel I know exactly what I’m doing. Taking the training course has definitely had a real impact on my business. I am hoping to continue moving away from general cleaning to a more specialised (and more lucrative) carpet and upholstery cleaning service. The trainers were great and I absolutely recommend other carpet cleaners to do the course”. 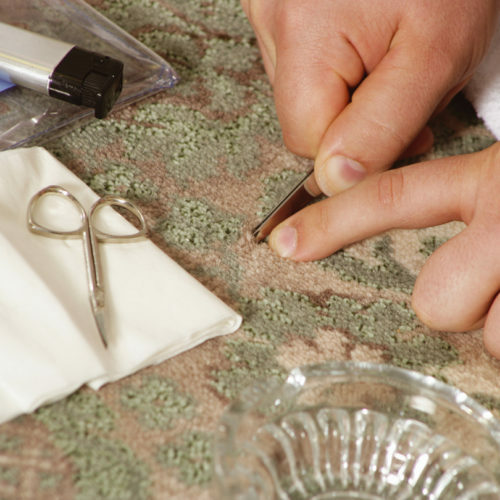 “My partner did the one day carpet course some years back and said it was excellent. I was really pleased I did it because although I’m quite new to the industry I was able to go home and teach him a thing or two! I feel much more technically aware since doing the course and I am definitely much more successful with stain removal. I’m also very careful now about over-wetting, which is something that can really cause the problems. However, my only real regret was not coming on a two-day carpet course. I can see now that as I haven’t had that much experience yet, it would have been better for me to come for the two days. In fact I’ll probably come back for the two-day course next year and keep up with what’s new on the carpet cleaning scene”. “The carpet cleaning course was “very professional and the presentation was excellent”. The upholstery course “was another very interesting day, with an excellent manual for future reference”.